Devotees from the Kurukshetra team - Vrinda Mission - have informed about the transcendental visit of Bhakti Vicar Vishnu Swami Maharaja in Berlin, Germany and he also is visiting Prague, the capital and largest city of the Czech Republic . He stays in Berlin up to September 26. 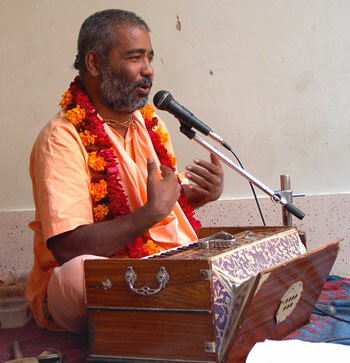 It was announced that Maharaja gives lectures about Vedic philosophy in their Ashram in the mornings, from 06.00 and in the evenings from 19.30. Invalidenstr. 145, 10115 Berlin, Germany. Hare Krishna Missions, ki jay ! Hare Krishna News, ki jay ! World Gaudiya News, ki jay !